So you have decided to hire a maid service to free yourself and your family from the stress and wasted time cleaning your home. Good for you! The number of busy families hiring a maid or cleaning service is on the rise, and with good reason; everyone benefits. However, not all cleaning companies are the same and there are some key things that every home owner should expect from the process of hiring a home cleaning service as well as from the service itself. First, let’s admit the obvious, hiring someone else to clean your home can be an emotional decision and process no matter who you are, that’s just the truth. So many people have been raised with the notion that the woman is the ‘housekeeper’ and that to have anyone else do that job would be abdicating a crucial female role in the home. Others believe this is a bit outdated and not serving the busy multifaceted lifestyle of today’s family, and today’s woman. 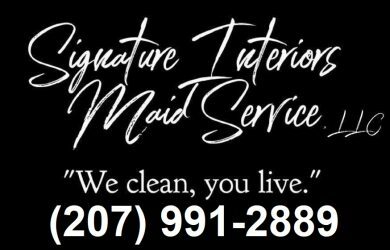 Here at Signature Interiors Maid Service we believe in service as our primary function. We don’t judge. We don’t discriminate. We don’t have a feeling either way; we just want to serve the needs of the people in our community and help lift some of the burdens and stress from their lives. However, we are aware that there are a myriad of emotions and ‘issues’ that surround the idea as well as the process of hiring a maid service. Once the initial decision has been made and you have hired the service, you may wonder what to expect next. This will be especially true if this is the first time you have used a home cleaning service. Let’s talk about what we do at Signature Interiors and what you can expect when you hire us to clean your home. You deserve the very best service possible as well as consistent quality, and you have the right to expect these from your maid service. As stated above, we are all about service. Signature Interiors Maid Service is a relatively new company and growing fast! We adhere to strict quality control standards because we have set the bar very high. We believe you pay for a service each week, every other week, or every month, and your service must remain consistent. Our number one goal is our client’s satisfaction and we do that through a variety of quality control standards we have adopted which each of our maids and training managers have been trained to adhere to with each client, every time they clean. Another pillar at Signature Interiors Maid Service is our commitment to clear communication with our clients. 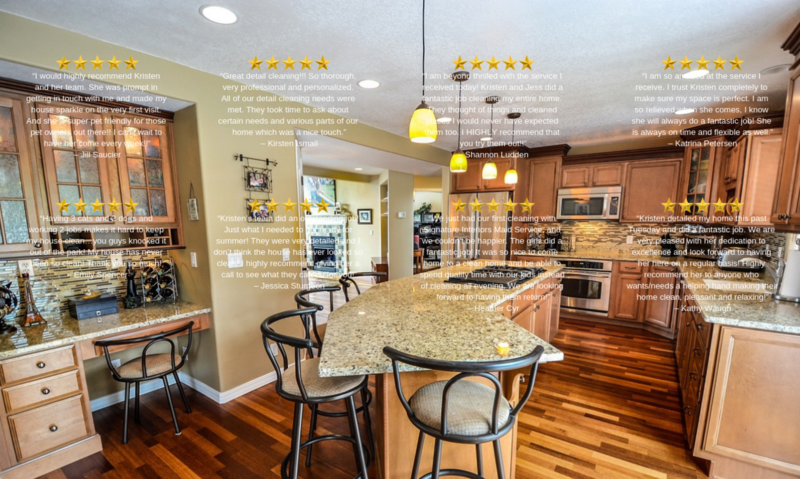 From the initial meeting and walkthrough estimate, to the first deep clean, and through every regular cleaning there after we make certain our clients know what to expect from each cleaning, when to expect us, who will be cleaning their home (with very few exceptions, we have the same maids clean the same homes each time, this makes it easier and stress free for everyone), and how much we value their loyalty to our company. We also encourage and welcome feedback from our clients as this allows us to continually improve upon the Signature service they are already receiving and gives our clients peace of mind knowing that they can come to us at any time with a need and we will do our best to fill it. Our maids are friendly; they enjoy animals, and absolutely love to clean! At Signature Interiors Maid Service we believe these qualities are imperative in our employees and we go to great lengths to assure our maids have them. With over 95% of our clients proud parents of fur babies, our maids are used to interacting with, caring for, and respecting the pets they come in contact with at each job they work throughout the week. Pets play a vital role in our lives and in the lives of our families and we are committed to treating them as the fur family members you adore. Respect is another big deal and a pillar here at Signature Interiors Maid Service. We know that we aren’t just cleaning some cold bathroom in a big box store somewhere, we are cleaning the home of a valued person in our community, and we take that very seriously. You deserve and should expect excellent treatment of your home and the contest thereof from any maid or cleaning service you hire for any cleaning job in your home. Our maids are trained with a great emphasis on this idea and we hold them to a very high standard of excellence in all areas, especially this one. Lastly, your maid service should be filled with people who are friendly, upbeat, happy to work, on time, hard working, dedicated, trustworthy, and willing to do a little extra to make sure your home is spotless and you are 100% satisfied with your service. Not only should you expect this, but we believe you have the right to demand it. Once you have made the decision to hire a maid service to free yourself and your family from the stress and wasted time cleaning your home, we believe there are some basic things you should expect and receive from your maid service. If you have made the jump, we’d be honored to be your maid service!